Custom epoxy floor coatings provide you with full control over every aspect of the look. At Garage Floors 1 Day, we do our best to accommodate your design ideas for your residential, commercial, or industrial needs. We will be sure that your top concerns get addressed in the design and execution of your custom epoxy floors. Custom epoxy coatings allow a significant degree of freedom when it comes to expressing your creativity or achieving a specific look. An experienced epoxy installer can create any combination of colors or patterns when they understand the materials that can be used. We can help you to incorporate your brand image or team logo into your custom epoxy flooring or simply add visual appeal and brightness to dull areas in your home or garage. There are many ways to improve the appearances of your epoxy floor. Various additives can be added to the mixture to give your epoxy floor the characteristics you need. We can provide your custom floors with UV protection to prevent discoloration from sun exposure. Or, we can add fine glitter-like particles to enhance the gloss and sheen of your flooring for a metallic look. Let us know what you are looking for in your epoxy flooring, and we will do our best to deliver. Contact us for your best custom epoxy floors today. Custom flooring often gets thought of as an expensive home upgrade. However, our epoxy flooring service offers you a beautiful and durable flooring option that is fully customizable at a reasonable price. 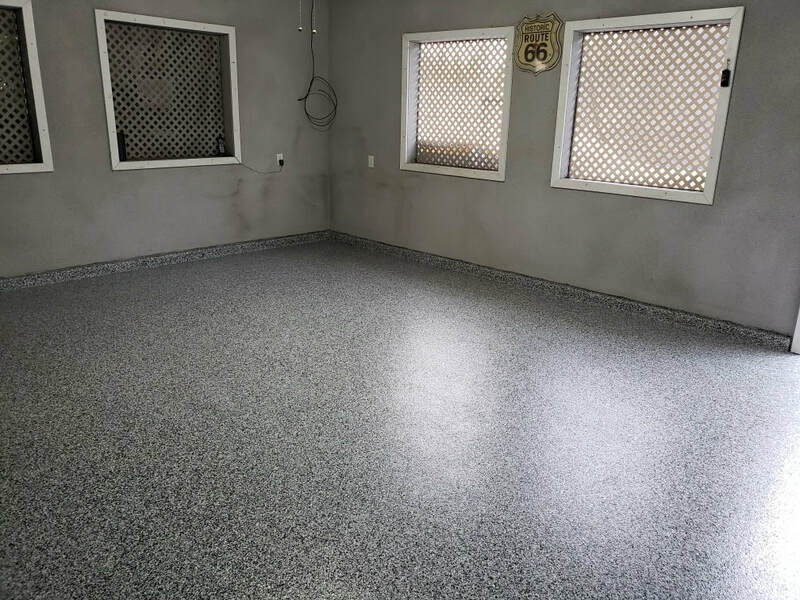 When you consider the expected lifespan of professionally installed epoxy floors, it is clear that you are getting the highest value for your money. The price of each project will vary depending on the size and scope of the job. If you need a no-obligation estimate for your custom epoxy floors, contact Garage Floors 1 Day for further assistance. Call today for your affordable epoxy floor contractors. The difference between our expert professional installations and a DIY project is night and day. Epoxy can be a fickle material to work with, and it requires a high level of skill, speed, and precision to apply correctly. ​As your expert contractors, we understand how to help you get the most out of their custom epoxy coatings. We take the time to prepare your concrete surfaces for optimal adhesion and a seamless appearance once cured. Our clients depend on us to create quality that will stand the test of time and surpass the highest standards. For your best epoxy floor applications, call Garage Floor Day 1 today.